A new £50,000 challenge fund aimed at increasing the number of men working in early learning and childcare (ELC) has been announced by Maree Todd, Minister for Children and Young People. 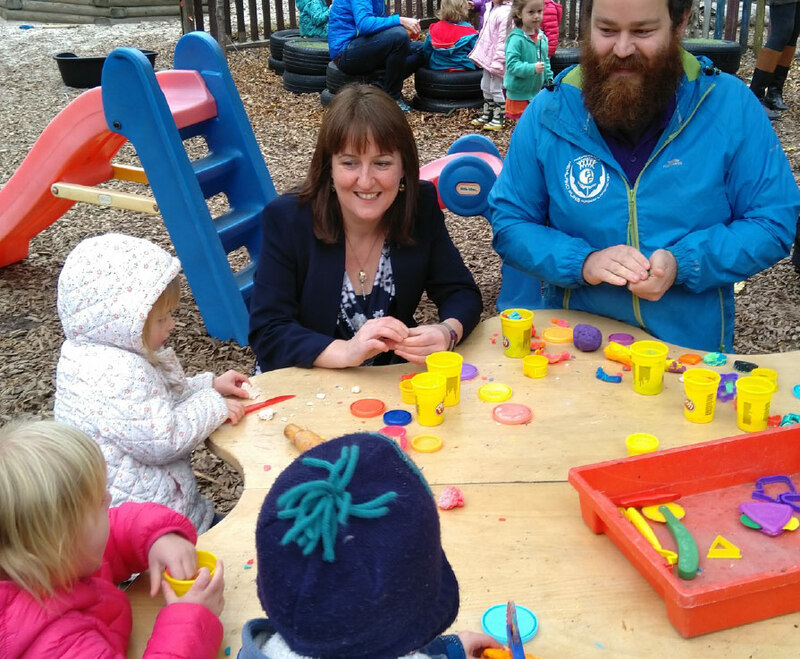 Speaking from Highland Fling Nursery in Portobello, the Minister said: “I’m delighted to have seen first-hand today the difference a diverse workforce can have on our children’s learning, bringing new ideas and approaches to learning and play. Men have been historically underrepresented in ELC – at present just 2% of nursery staff in the UK are male, compared with 7% in Portugal, and 23% in Denmark. The Men in Childcare Challenge Fund is designed to help tackle this imbalance by increasing the number of men applying for and successfully completing Scottish Social Services Council (SSSC) registered qualifications in ELC. Funding will be administered by SFC and awarded to colleges who submit successful bids to test evidenced-based pilot projects that can be replicated across Scotland, including in remote and rural areas. John Kemp, Interim Chief Executive of SFC, who will be facilitating the fund, said: “Diversity and representation is vital to ensure caring is not seen exclusively as a female role, and that all children have access to positive male role models. This fund is designed to help address the current gender imbalance in the Early Learning and Childcare workforce, as one of the recommendations in SFC’s Gender Action Plan. For more information about the fund go to Men in Early Years Challenge Fund. In our blog, College graduates share their experiences about what it’s really like to be a male working in childcare.